Our talented production team, designers and engineers are excited to turn your product idea into a completed prototype. Even challenging designs with complex steps such as highly specialized cutting or customized high-frequency PVC welding are well within our production capabilities - there are no obstacles keeping you from your fully-realized product. 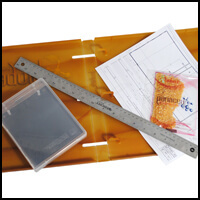 Production Prototyping - If you need a physical sample for a new product idea or concept, we have the designers and resources to develop high-quality prototypes. A carefully executed prototype could be the difference between your project gaining momentum and fizzling out, so finding a team that can build you a thoroughly representative model from the start should not be undervalued. Few manufacturers can compete with PackZen’s unique combination of design knowledge and industrial versatility; our sales team can walk you through our diverse selection of equipment, existing products, and sourcing connections to promptly turn your concept into an actual sample. Radio Frequency Welding - RF sealing-capable machines make converting plastics effortless for dozens of applications. Radio Frequency welding, also known as dielectric sealing and heat sealing, is a PVC-specific converting process that allows us to permanently seal layers to each other in whatever configuration our clients require. 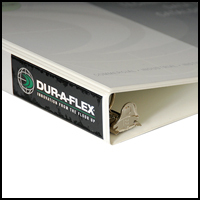 Our web-fed presses and multi-station turntables make quick work of RF sealing for flexible vinyl packaging applications such as custom binders, sleeves, and pockets. Our machines can process several welds in the time it takes comparable machines to form a single weld. 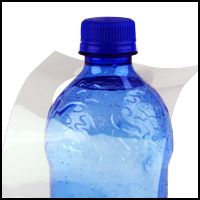 Furthermore, our sealing methods are controlled in a way that consistently produces a perfect seal every time. Custom Die Cutting - We have decades of experience developing custom-cut shapes for clients, so you can trust in our precision. A custom flap or opening can make a bold impression, especially for promotional material - and our highly adaptable and specialized die-cutting equipment makes those unique shapes an accessible option. The 20+ fully-integrated film converting machines located at our Marysville headquarters allow us a great deal of die-cutting adaptability. Univenture products can be fashioned to appear and function virtually anywhere, increasing your product’s versatility, interactivity and exposure. Our extensive and varied experience cutting custom shapes should inspire confidence that we’ll provide you with a custom die cut that makes sense for your brand’s objectives.